Happy Saturday ladies and gentlemen, I’m back again with yet another must have in your closets. Personally, I hate wearing thick sweaters, I prefer lightweight sweaters because I can layer up. I also hate wearing boring sweaters. This Drama sweater is anything but boring. The ruffles that runs on both shoulders and stripes gives an authentic feel to this sweater. 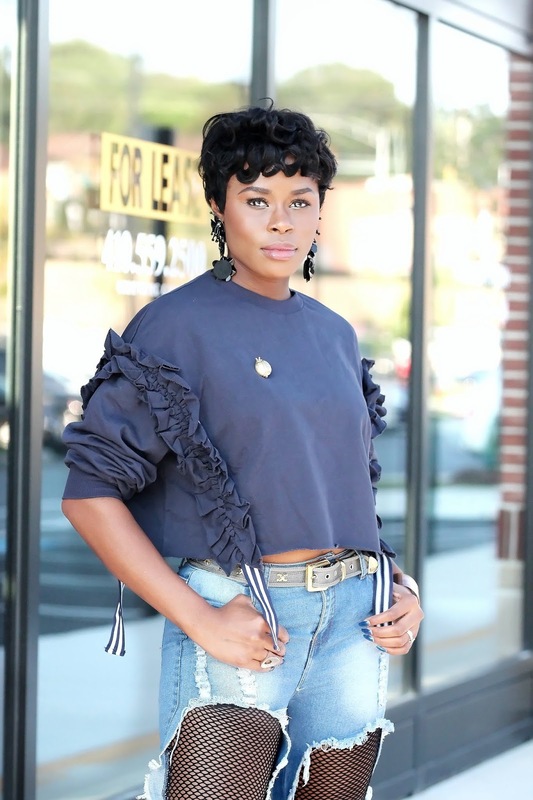 I paired this sweater with a rip jean, a gold belt, and my black and white pump to complete this look. This is definitely the MUST have for Fall. Would you have styled this differently? Comment below. I'm back again for another must have look. But first let's talk about this DMV weather. It's sometime cold and other times very warm, please make up your mind, I have places to go and people to see so I can't afford to get sick . 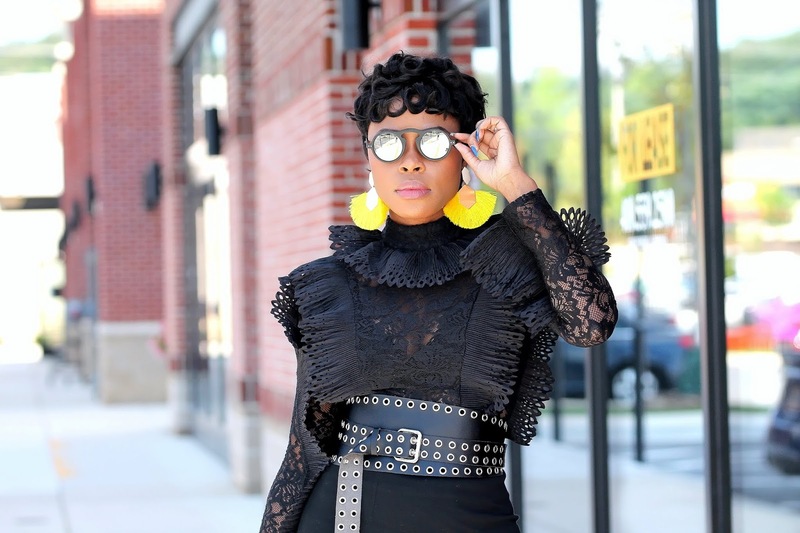 Floral prints and blossoms are usually associated with spring fashion mood boards, but fashion trends for fall 2018, thus far, have been successful in breaking the predictable seasonal styling monotony. It was refreshing to see blossoms and flowers showcased on the ramp with vibrant pops of colors like teal, zinc, magenta and even raspberry pink. 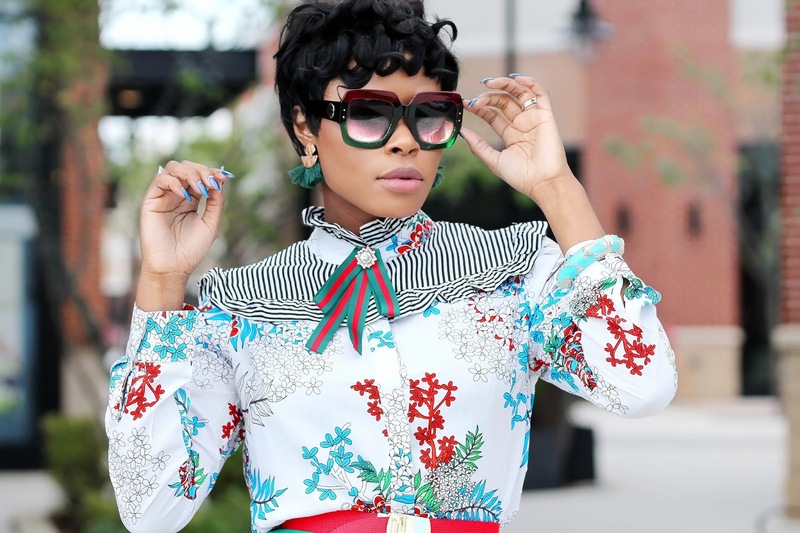 This fall appropriate top from Tomgfashion is a trendy high neck full sleeves blouse with intricate floral patterns in teal, grey and maroon and decided to recreate one of the more out-there, experimental and bold runway inspired fall fashion look that could be pulled off as an easy everyday go-to style for many. I paired the floral blouse with a ruffle figure-hugging midi skirt in teal; I love the silhouette because it emphasizes my curves in the most flattering way ever. I also appreciate the fact that this skirt has this matching belt at the top of the waist with a gold accent buckle. A dash of gold, for me personally, ties an entire outfit together in a lavishly elegant manner. The ruffles of the skirt aren’t very loud or crazy– a fact I learnt to appreciate with time. They complement the casual floral blouse in a playfully feminine chic way. 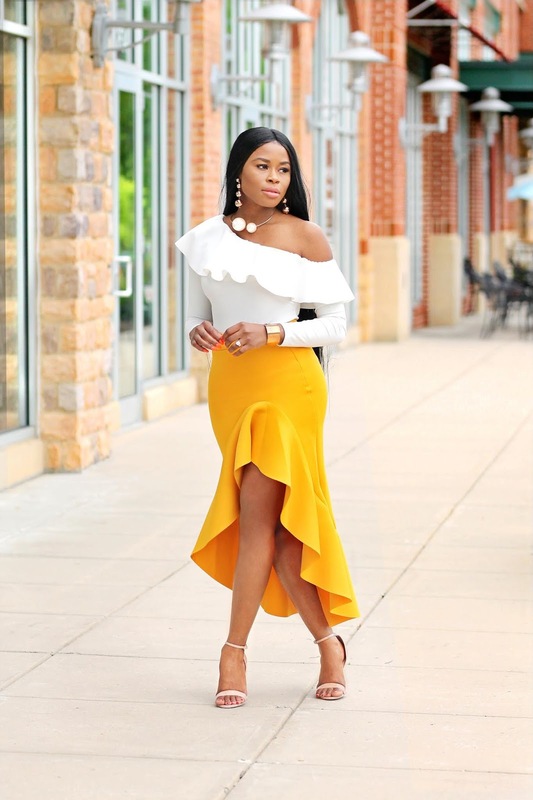 The length of the skirt is also business formal appropriate and good enough for me to flaunt my classic pointed toe heels. I picked a pair of heels with a sunset Siena fall vibe with an addition of peacock color palette on the sides. I think it complemented the teal in my dress very well. Also, sunset orangish shades are cult classic fall fashion trends, which you can just effortlessly add in here. Animal prints in accessories – specially snake skin or tigress skin patterns in shoes is one of the leading fashion trends for Fall and I like the fact how the pair of shoes I picked had a faint texture, somewhat mimicking the same trend. 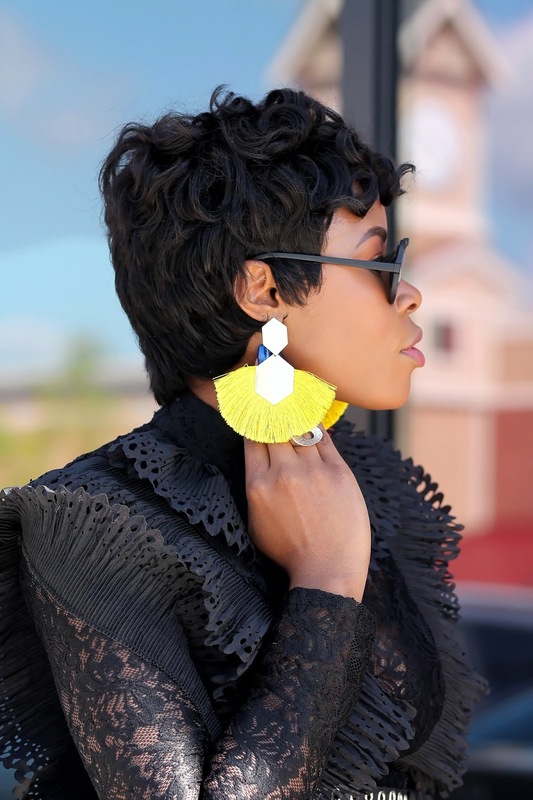 For rest of the accessories – I picked up matching tassel earrings to add a little pizazz and drama and a gorgeous pair of oversized square sunglasses for a retro vibe. The floral blouse has full sleeves so for my arm candy I decided to pick this chic medium-sized black satchel bag with hints of teal and red a big gold chain to complement the gold accent buckle of my skirt. I hope you like my everyday chic work-friendly fall look. 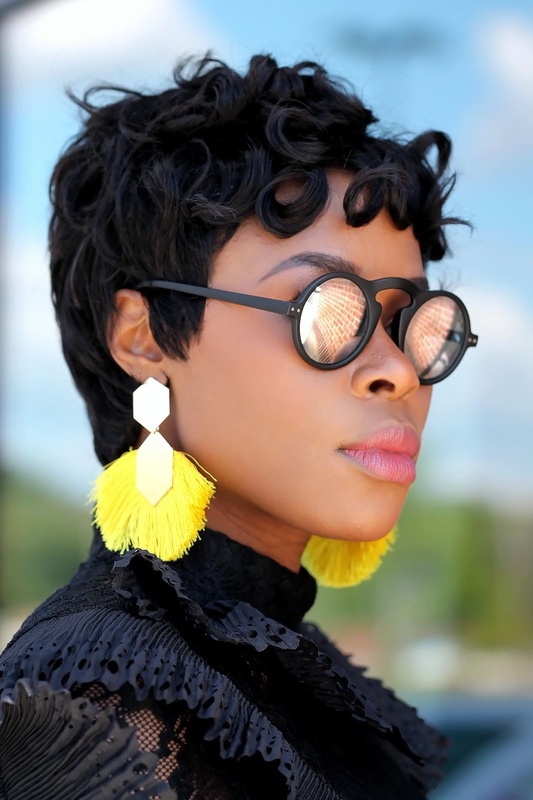 What do you think about this look, will you rock this look for Fall. I'm back again with another must have in your closet. This tie waist lantern sleeve dress is a must in any closet When you dress beautiful you feel beautiful without a doubt. 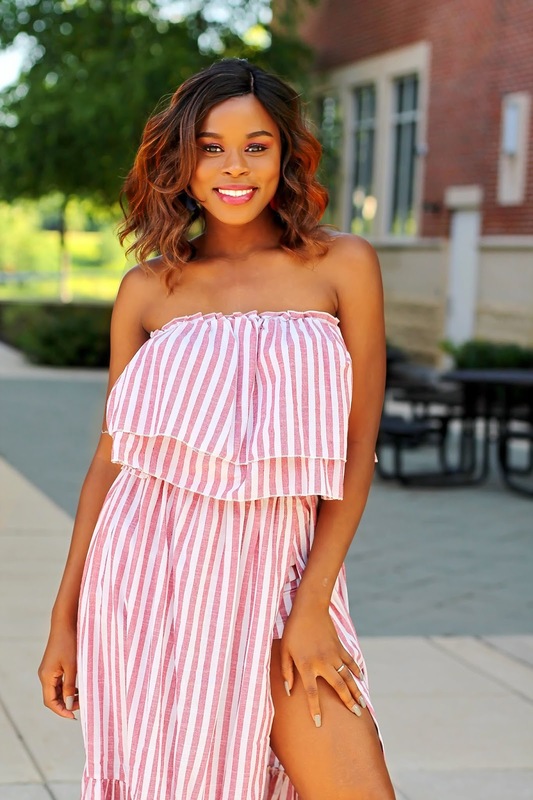 I don’t have many dresses like this one, so when I saw this dress on SheIn website, it was love at first sight. I love slightly over the knee dresses. This dress offers the prefect length for any occasions. I love knee length dress because they are so classy and chic. This dress comes in multiple color such as Mustard, Green, Purple Pale pink, Burgundy and Baby Blue. I added a blue/purple shoe for a pop of color and a transparent blue clutch. Oh yes- this dress is only $21.00. What do you think, would you dress this differently? Comment below. 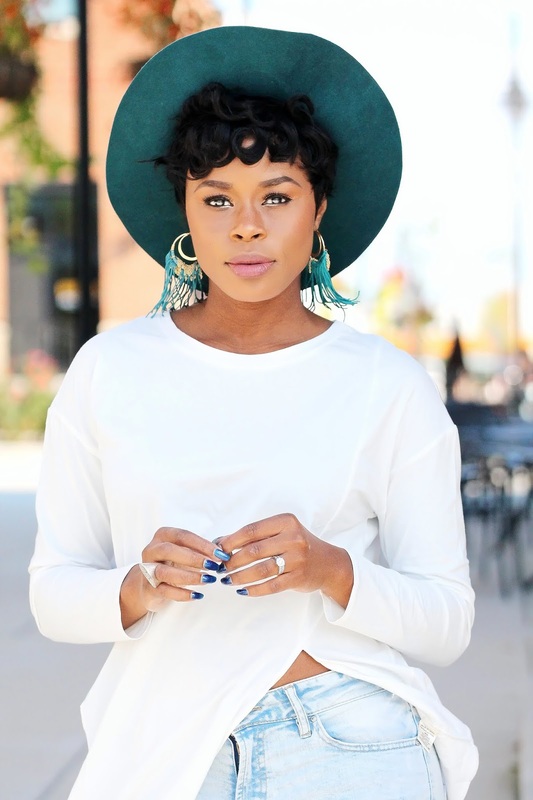 I'm back again with yet another must have in your closet. I will get straight to the point with today's look which is all about strips and bold colors. 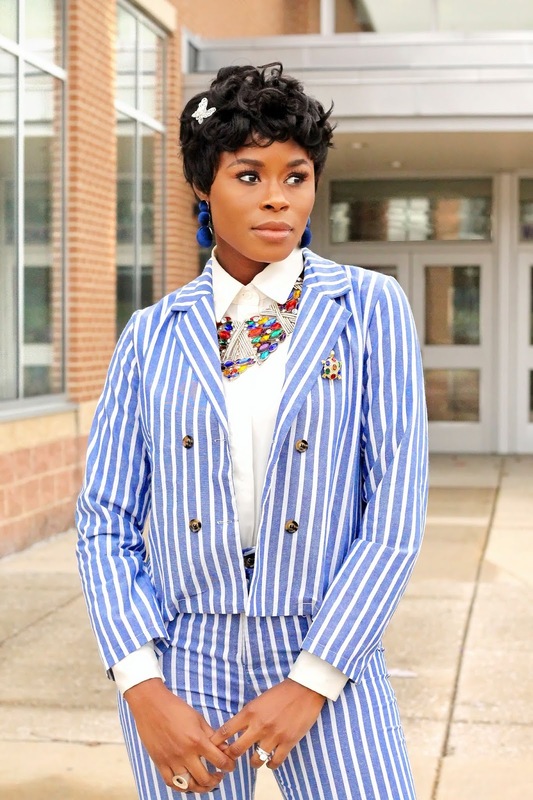 I had so much fun shooting this striped double button blazer suit because I played around with a lot of the colors. I incorporated a purple shoe and bag. I also included a statement necklace and earring. I rarely add accessorize to my hair, but with this look it seems appropriate. I received this suit from Shein and it only cost $23.00. I have included the link below for your convenience. 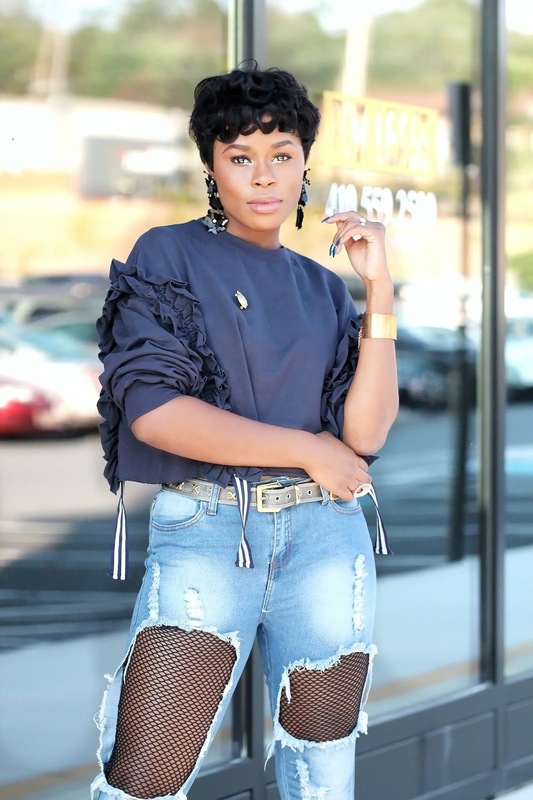 What do you think about this look, would you have styled it differently? Not so basic in this Basic tee, how clean and fun. Vibrant yet subtle. I don't know about you but I love to wear layers during Fall and Winter. I don't like thick sweaters and I always prefer layers. 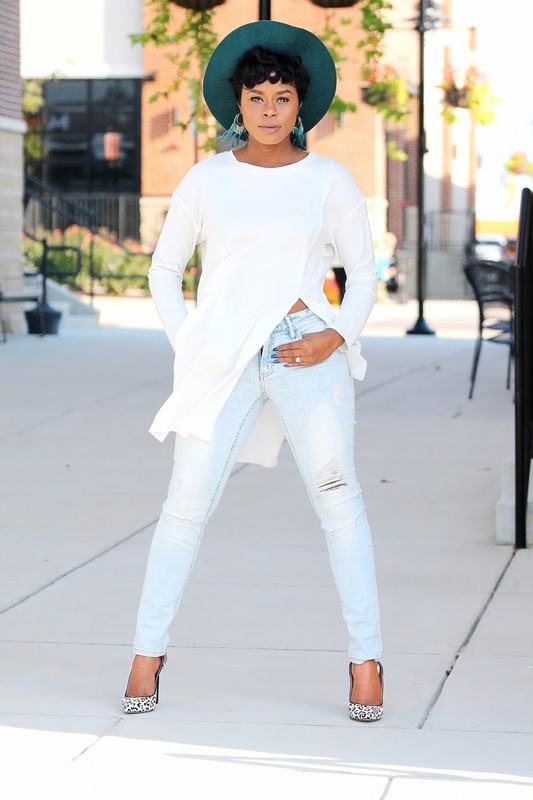 When I saw this white simple asymmetric top, my eyes were immediately drawn to the simplicity. This top is the bomb, it can be easily worn with any outfit, I think about this as a clear canvas and any color will bring it to life. I incorporated a white and washed out blue jean to continue the cleanliness- why not, they look so cute together. I know some may feel otherwise about pairing and matching this styles, it simple yet chic.I added a deep green hat to add a pop of color. Enjoy the Post. What are your thoughts? Don't forget to read all about "How to wear all black without looking like you are heading to a funeral"
I am back. I am Black. But never Basic. You can wear Black without looking like you are heading to a funeral. To avoid this is simple, just add a pop of color. top, it simple chic, with a pop of color. I added Pop of Yellow to make a statement. I knew it would be prefect for shop Tomgfashion. This bodysuit is very flattering, slim, and structured. 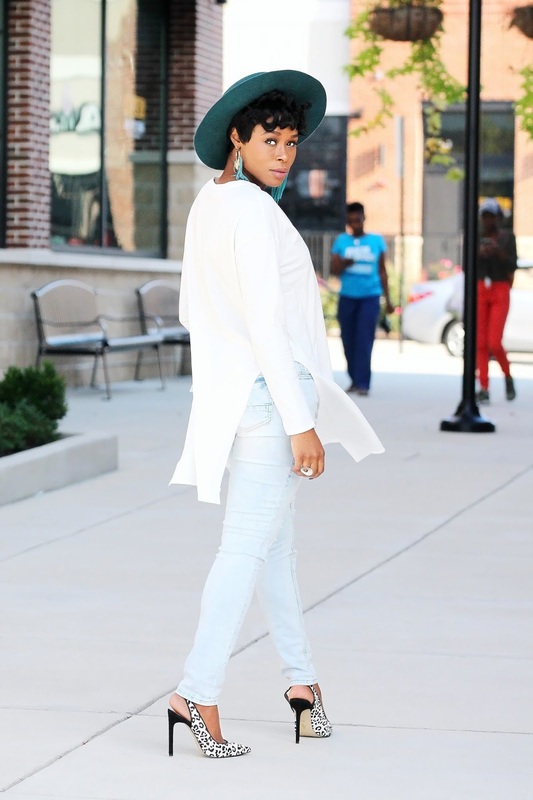 This is the style that you need in your closet. If you love stylish but comfortable, chic yet classic, then you got yourself a winner. so if you inspired to update your closet, be sure to head over to see what’s new. TOMGFASHION IS HAVING A SALE!!! YES, we are on SALE. All our sale items is 40% off with free shipping. As Summer comes to an end, I must say that I will miss wearing this gorgeous set. As you all know I have my own online store, however Shein as been one of those online stores that I started my very first collaboration with. They have a lot of casual styles and they are very affordable. I paired this look with a lace tie heel, however a simple sandal will do just fine. I'm wearing a medium in this set, it fits perfectly to my body and it's just so fun to wear. How would you style this? 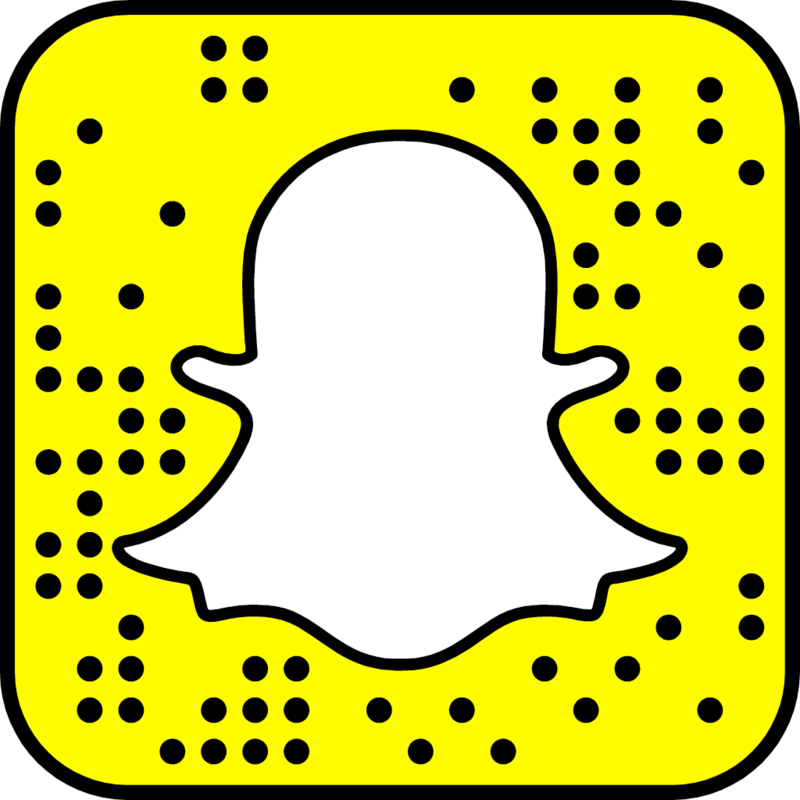 I hope you enjoy the post. Tomgfashion store is having a Sale!!! 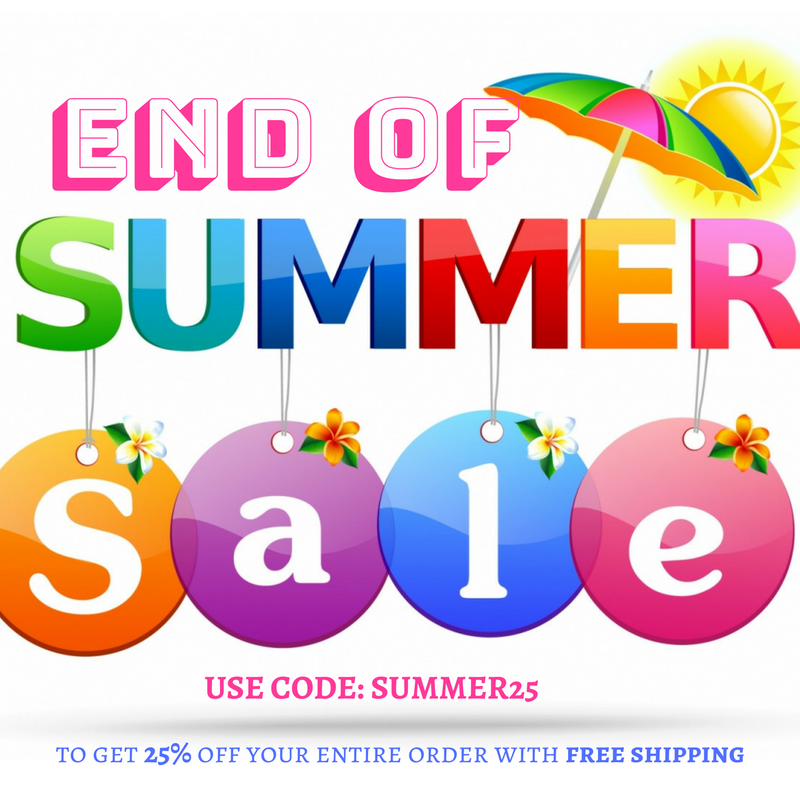 My online store is having a great end of summer sale. Everything is 25% off. Please check it out. Here are some pieces available for sale at the store.